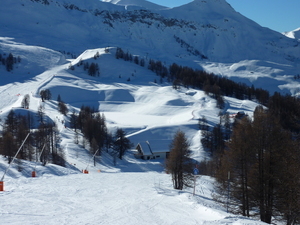 Auron, along with Isola 2000 are two of the larger resorts in the Alpes Maritimes, popular with weekend skiers from Nice and unfairly overlooked by North Europeans. 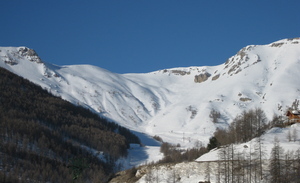 Auron is the lower of these two, and favors more advanced skiers than does nearby Isola. 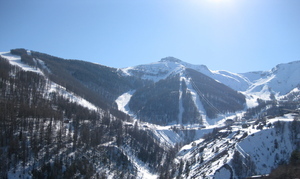 The ski area of Auron is linked by cable car to the charming traditional village of St Etienne de Tinée (1140 m) and both Auron and Isola often benefit from early season snow that misses the big resorts to the north. 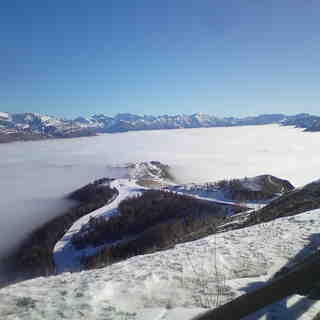 Nearest gateway to this ski resort: Nice Intl Airport, at only 90km by the road. 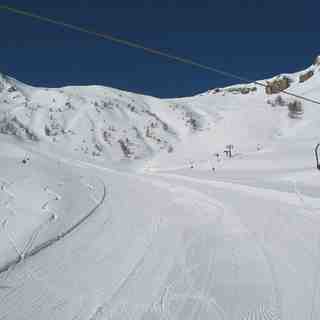 We've been regularly skiing Isola for years & never given Auron much thought as we thought it too low. What a mistake that was! Firstly, compared to Auron village, Isola 2000 is the absolute pits. The main Auron village square is a pretty alpine affair set around an ice ring that provides fun for children & adults alike. Little chalet stalls like those of Christmas markets are set to one side, while shops flank the other. Plenty of shops, bars, restaurants & hotels to choose from, all with friendly attentive service. 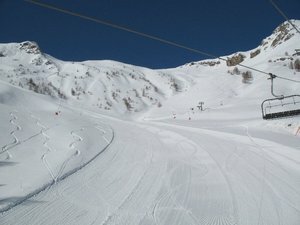 Yes, you can't ski back to the village itself but you can drive or catch the gondola that is just a few minutes up to the main ski area that features an excellent debutant green served by a chair lift perfect for beginners (no hideous drag lifts to put beginners off). The skiing is perfect for a long weekend with lots of choice in both difficulty & length, plenty of lifts & some good off-piste if the conditions are right. Good snow cannon cover too, ensuring you can make a circuit of the resort runs. Like Isola2000 they have an airbag, but it's FREE & they also do bulk deals on ESF lessons, again unlike Isola2000.